Before getting into real estate in 2005, Tina previously taught health and physical education at District 2 in Colorado Springs. Tina is a graduate from University of Northern Colorado, with a BA in Health/Psychology. 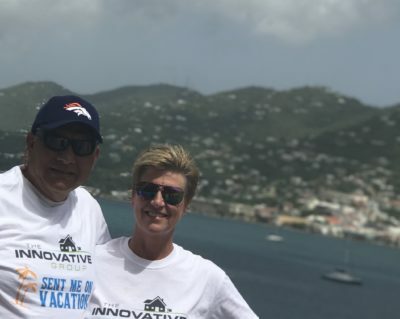 She is an active agent with The Innovative Group and founder of Prime Home Connections, educating buyers and sellers in the process of real estate. Tina grew up in a small town in western Kansas, where she founded her timeless fundamentals for a hard day’s work, in which she applies as her role as a Realtor. Her small town roots have given her the importance of family, in which she instills in her business, and two amazing children Paisley and Ryker. Michael’s passion comes from his love for his children, and our great nations Military. Having served 13 years in the United States Army, he brings key components to serve our active and veteran community’s real estate needs. Having tremendous success in new home sales, and director for sales associates, he brings a keen negotiation background for success in any real estate transaction. Together Mike and Tina bring 20 years of combined experience to their prospective clients. Their ever growing business foundation is formed by their repeat business, personal referrals, and exceptionally loyal clientele. 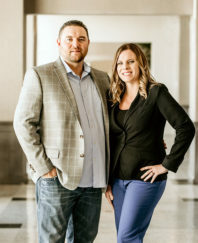 Mike and Tina’s small town roots and hard-work ethic, provide a high ethical standard tailor-made for any real estate transaction. Both Mike and Tina have called Colorado Springs home for over 25 years. They are always ready and willing to show the greater Front Range!